Cerevo today released updated firmware Rev.1.3.0 for “TACHIKOMA 1/8 scale Moving, Talking and Synchronizing” which contains new “Voice Collection” and “Synchronization” screen features. These features are available in the application (iOS/Android) for no additional charge with the Rev.1.3.0 firmware. For how to update the firmware, see here. 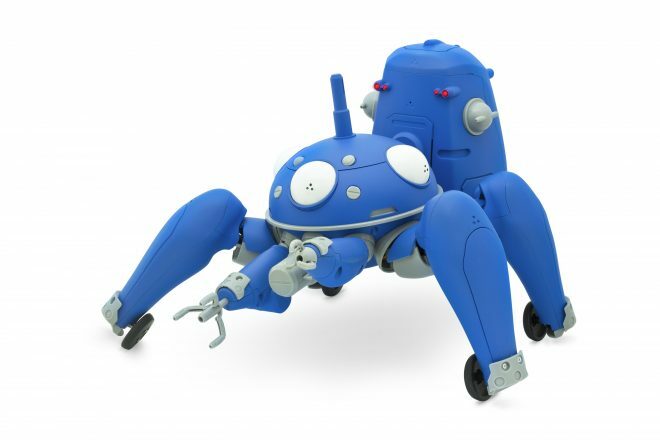 1/8 TACHIKOMA can be purchased at the Official Cerevo Store and Amazon.com. With the voice collection feature, you can select and play the dialog spoken during your past conversations with Tachikoma. Use the application to listen to more than 600 phrases recorded by the original TV series V.O. actress Sakiko Tamagawa*1. *1 Dialog related to system functions such as initial settings and internet connection, errors, etc. are not available from the voice collection feature. Cerevo has also updated the “Synchronization” feature which allows 1/8 Tachikoma to share their learned data with each other. It is now possible to check the amount of information synchronized by all 1/8 Tachikoma from the application. Added “Voice Collection” screen. You can now listen to the lines spoken during your past conversations with Tachikoma. Tachikoma knowledge synchronization can now be viewed from the setting screen. Cerevo Inc. (Consumer Electronic REVOlution) was founded in 2008 and is located in Tokyo, Japan with a branch office in Redmond, WA, USA. Cerevo is a small batch company focusing on making unique networked devices and connected solutions for both consumer and professional users based on its “Global Niche” concept. Cerevo’s products have been recognized globally and are sold in more than 70 countries.